Relax with your family or enjoy a drink with friends in the comfortable Vineyard Adirondack 5-Piece Chat Set. Set seats up to five for an entertaining evening by a glowing, adjustable flame. The wind guard on our Fire Tables ensure kiddos and pets are safe next to the fire even in windy weather. 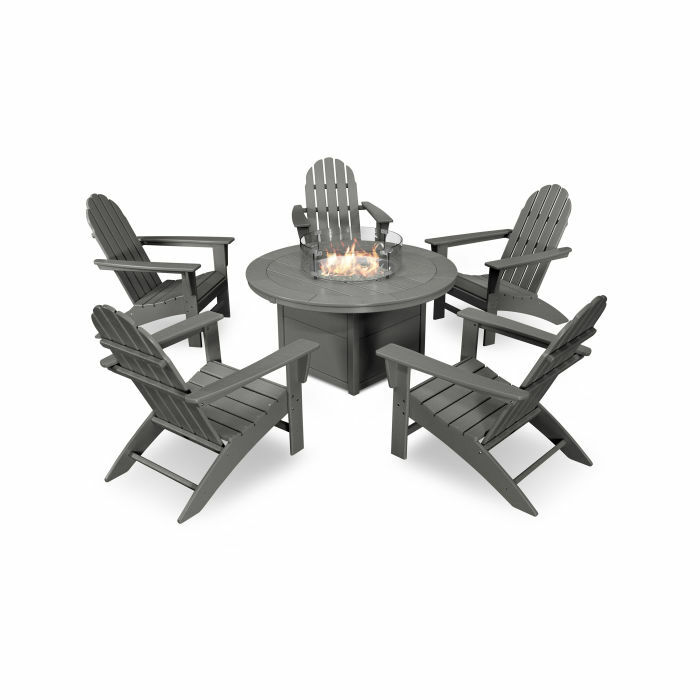 Create a cozy spot to chat the night away with the Vineyard Adirondack 5-Piece Chat Set with Fire Pit Table. The new POLYWOOD® Fire Tables deliver a roaring fire at the press of a button without the maintenance and upkeep needed with traditional fire pits. Spread out and relish the warmth in the contoured seat, classic back, and sleek profile of our Vineyard Adirondack Chairs.